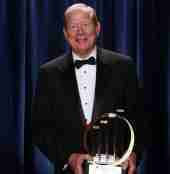 Bob Moore, Chairman, CEO, iGPS, has been named the Ernst & Young Entrepreneur Of The Year® 2010 national winner in the Emerging category. Now in its 24th year, Ernst & Young’s Entrepreneur Of The Year® is the world’s most prestigious business award for entrepreneurs. The award encourages entrepreneurial activity and recognizes leaders and visionaries who demonstrate innovation, financial success and personal commitment as they create and build world-class businesses. All Ernst & Young Entrepreneur Of The Year® winners were selected by an independent panel of judges from approximately 300 regional award recipients. “By inventing the proverbial better mousetrap and pushing to get it to market, Moore has led iGPS to a 25% share of the market for pallets in only four years,” said Bryan Pearce, Americas Director, Entrepreneur Of The Year, Ernst & Young LLP. According to the Ernst & Young release, Bob Moore realized trouble for CHEP was on the horizon while he was CEO of CHEP. Environmental pressure against using wood pallets was gathering momentum, and even more alarming, Moore recognized the inherent long-term flaws of a product that was difficult to sanitize and often used only once. Moore wanted to help his company develop a more sustainable business model, so he approached the board of directors to push for funding to develop a plastic alternative to wood pallets that could be tracked through RFID (radio frequency identification) chips. The board turned a deaf ear. Undeterred, Moore resigned to pursue his vision. But a four-year non-compete agreement kept him on the sidelines until 2000, just before the dot-com bubble burst and venture capital funding for start-ups all but vanished. Moore responded with characteristically tenacious innovation: he purchased a large stake in a small pallet company and used it as a vehicle to attract private equity funds. Having thus secured backing, Moore was ready to begin making his vision a reality. But his idea extended far beyond just replacing wooden pallets with plastic ones. Moore saw that his true business opportunity lay in using plastic pallets to help companies overhaul their supply chains through the addition of RFID chips. Adding the RFID chips can improve efficiency by enabling companies to track shipments. The combination of plastic and RFID has been successful. iGPS market share has soared from 0.8% in its first year to 25% in 2010, according to the release. Next year, iGPS will expand into France, Spain and the UK, an ambitious step for a company that started out with three people in a small office in Cos Cob, Connecticut.